Community is all about sharing good food, with endless ideas on delicious salads. These simple, sustainable and healthy recipes feature fresh, seasonal produce and inject colour, life and flair into that most modest of everyday meals: the salad. 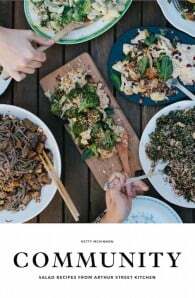 Rather than being simply sides,Community’s salads are meals in their own right, giving vegetables, legumes, herbs and nuts their moment to shine. 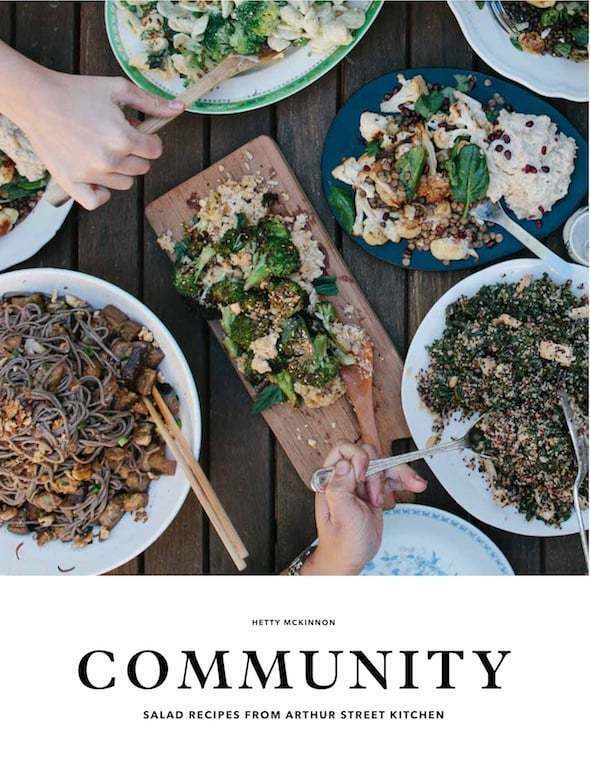 The recipes in Community are inspired by author Hetty McKinnon’s community kitchen, Arthur Street Kitchen, where Hetty single-handedly makes and delivers homemade salads to residents in Surry Hills, Sydney, on Thursday and Friday every week. All by bike! Hetty’s salads use only the freshest produce, sourced locally wherever possible. Inspired first and foremost by the seasons, Hetty also takes cues from what she sees, smells and experiences from the world around her. At the heart of every dish is a core vegetable, around which a thoughtful culinary story is built, resulting in honest, inventive and hearty salads that deliver big, punchy flavours.